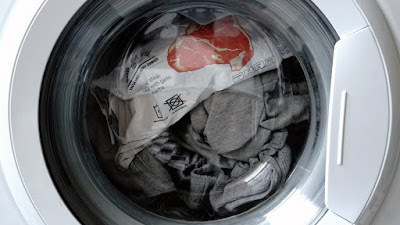 If you've ever cooked a meal while also washing a load of clothes in the washing machine, you're a fool. A damn fool. 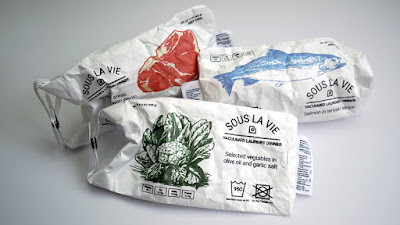 Thanks to Sous La Vie, a cooking concept from the Bezalel Academy of Art and Design in Tel Aviv, you can combine those two actions into one scientific culinary experienced. Yes, you can cook with your washing machine. The food, which includes varieties of meats and vegetables, is contained in a vacuum-sealed waterproof bag. It gets cooked over a long time in a relatively low temperature, and will not be tainted by the water and soap also present in the machine. Meat can be cooked on a 'synthetics' cycle at 56 degrees Celsius, while for veggies you change it to a 'cotton' wash. 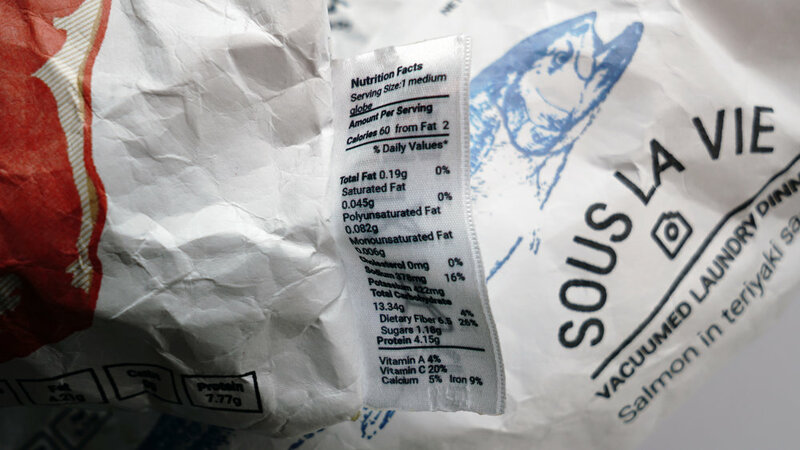 The bags even feature nutritional information on clothing-like tags. Right now this is just a concept, but the science is pretty easy to mass-produce so you could see meals like this become widely available in the near future. And hey, combining more than one household chore into a single task is something humanity enjoys doing, so it makes sense.